Many of us save up for a lifetime for that dream trip to Hawaii – but why not bring Hawaii to your home with some home décor ideas that wouldn’t look out of shape on the islands? Everyone can have a touch of the tropical when they indulge in a little imaginative decorating! Hawaiian Home Decor Doesn’t Need to be Difficult! In fact, there are a few décor arrangements that you will find commonly throughout the islands. Of course, most of Hawaii lives a very full outdoors life – but that doesn’t mean that the islanders don’t want quaint, comfortable homes to relax in at the end of a hard day. So what can you do to give your home that touch of the tropical? Let’s take a closer look at some Hawaiian home décor ideas to find out! Hawaiian Home Decor To Die For! Hawaiian home décor tends to reflect the natural. It is full of green earthen colors, creams that reflect the sunlight and light colored woods that don’t soak up that heat. Patterns tend to be based around flowers and leaves, cushions are a must and, as a general rule, normal, old-fashioned lamp shades are used instead of up-lighters or wall sconces. Hawaiian home décor focuses on lots of light and lots of bright, breezy feeling rooms (HGTV). You want to keep the actual ornamentation to a minimum and rely on light sources like table lamps to do the work. Keep the lampshades very light in color and be sparing with any rugs. Bare wood is favored in Hawaii, but light colored carpeting is also used. If you do have to use dark colors do so in minute amounts; like darkening the rafters slightly, relying on dark wood for furniture legs or detailing throughout. The best way to bring your room up a notch is to invest in some specialized artwork. Not only does this add a touch of Hawaii to your home; good artwork is a sound investment that keeps appreciating. To this end we turn your attention towards the Hawaii Island Chain Wall Art pieces offered here. 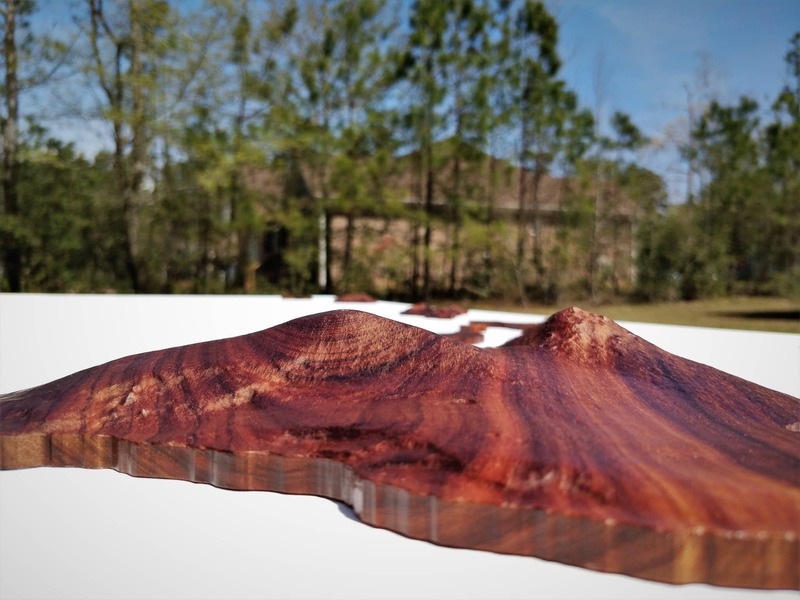 For instance this particular piece of wall art embodies the islands entirely, and is made from the traditional Koa wood shaping methods (Woodshop News). 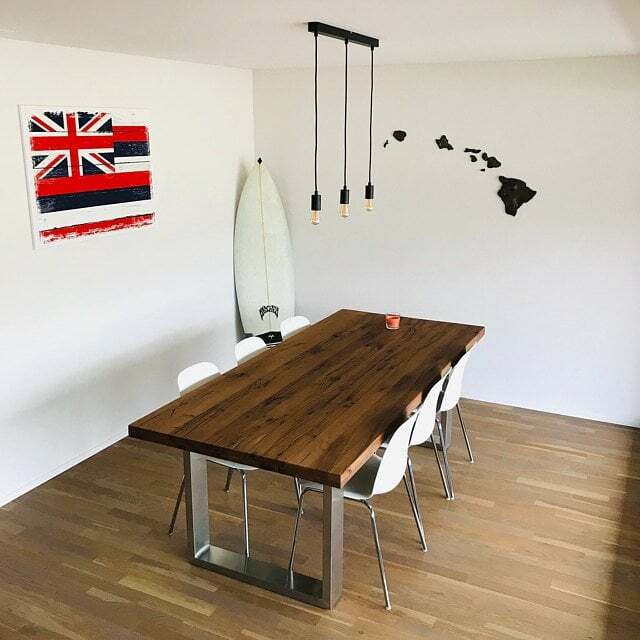 Each piece comes with hanging instructions and is either carved from Koa wood (native only to the Hawaiian islands and highly prized for the multiple depths and layers of graining) or crafted with USA made composite materials that offer a stunning finish such as a Bronze, Copper or Aluminum finish. 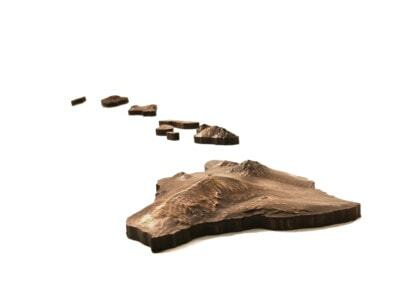 Eight of our fantastic islands feature exquisite detail and is ready to adorn your walls with just a few clicks of a button. 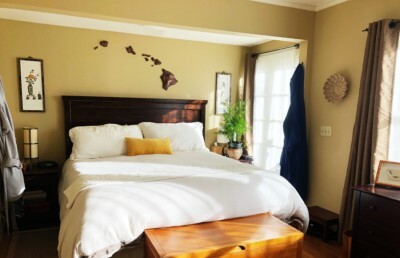 When you invest in Hawaiian art you can bring the islands to your home without any effort at all…who needs green cushions when you have a genuine piece of Hawaiian culture, instead?